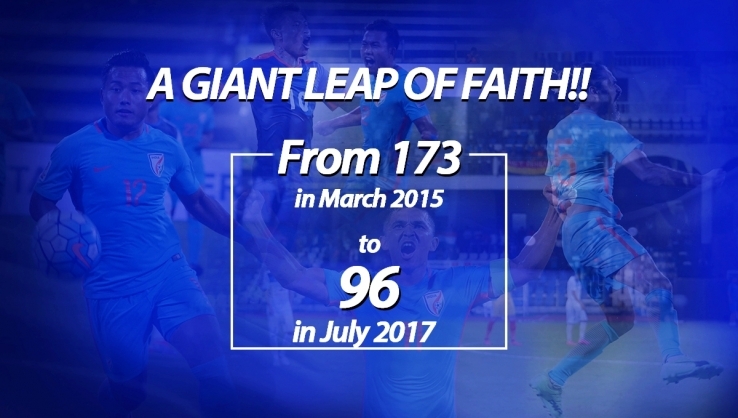 The Indian National Football Team achieved its best-ever FIFA Ranking since February 1996 as they were ranked 96 in the July FIFA Rankings released earlier today (July 6, 2017). In the process, India are currently placed 12th in AFC. India’s best-ever FIFA Ranking till date stays 94 which was attained in February 1996 while 99 stayed India’s second-best FIFA Ranking which was also achieved in November 1993. Indian Football and the National Team have been on an upsurge with a string of good results leading to a climb of 77 places in FIFA Rankings over the last two years. The Team has now won 13 of their last 15 matches and are unbeaten in the last 8 matches (including the unofficial match against Bhutan). India were ranked 171 when Constantine took over as National Coach for the second time in February 2015 and slipped further to 173 in March 2015 in the FIFA ladder even before Constantine could have his first game in charge against Nepal, which India eventually won 2-0 on aggregate. A qualification spot in the AFC Asian Cup UAE 2019 is what the AIFF aims at this moment. 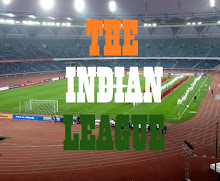 That would be India’s second AFC Asian Cup stint in 8 years, the last being in Doha in 2011.